Fuelled by some of London’s most exciting regeneration projects, research by CBRE highlights; Tower Hamlets and Barking are two of the five fastest growing property hotspots in the Capital and are ideal for first-time buyers looking to invest in a location set to grow. * To help first time buyers get a foot on to the ladder in these hotspots, L&Q will be hosting an East London Homebuyer event (www.lqhomebuyerevent.co.uk) on Friday 8th to Sunday 10thFebruary 2019 at each of their developments in Tower Hamlets and Barking. The event will offer potential first-time buyers access to all the advice and latest information about affordable routes to home ownership and will include exclusive incentives on homes reserved during the weekend. Homebuyers who reserve during the event will receive two years free service charge holiday, which could amount to as much as £6,000 saved and legal fees paid. ** L&Q will also be offering contributions towards stamp duty on certain plots. 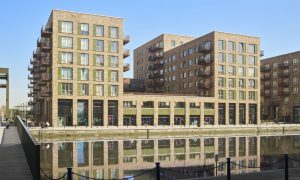 As well as a financial advisor on hand to answer prospective buyer’s questions, the L&Q’s sales teams will be available to provide details on its East London developments: Neo and New Union Wharf in E14 and Barking Riverside and Weavers Quarter in Barking. ** T&C’s apply. London Help to Buy T&C’s apply. Offer applies to purchasers completing by 31st March 2019.